A serene view from Just Cause 3. A serene view from Just Cause 3. 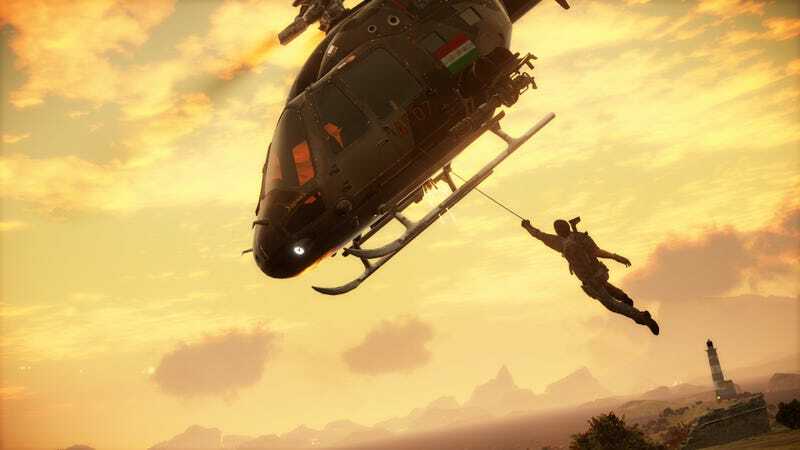 Of course, Rico will likely take over the chopper in the next minute or so and drop it on the heads of several panicking soldiers. All in a day's work. The picture's part of a batch of 21 new screenshots recently sent out by Square Enix—you can find the other 20 below.